IN LOVE BY CHRISTMAS A HOLIDAY ADVENTURE ROMANCE AND PARANORMAL VISIONARY NOVEL! Oh, darn! My Christmas book, IN LOVE BY CHRISTMAS, was free for two days. Before I could get this post out, I see they changed the price back. However, it’s deal at any price and I’ve got a special holiday surprise for you, besides. FIRST BOOK: IN LOVE BY CHRISTMAS is a Christmas love story of a perilous kind. Leroy Watches Jr. is a holy man and healer whose power is a bit quirky. Sometimes it makes things worse. You may have met Leroy in LEROY WATCHES JR. & THE BADASS BULL. Yes, it’s that Leroy, the one who ended up the FBI’s Most Wanted Fugitive. This adventure offers more opportunity for misadventure. Despite his flaw, Leroy has to save his soul mate from her addictions, her father, and Evil Incarnate or she’ll be damned forever. Trying to unite with his true love, Leroy embarks on an adventure that takes him to the highest–and lowest–realms. The book is currently $3.99 as an Amazon Kindle. Not free, but not super pricey, either. Isn't it pretty? 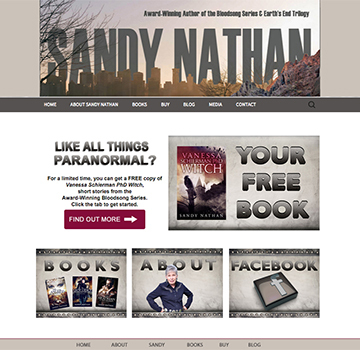 It has all the info of my old site, in a pretty new WordPress package. WHAT’S THE FIRST THING YOU NOTICE ABOUT MY NEW WEBSITE? “YOUR FREE BOOK” YES! If you go to new website and click on FIND OUT MORE or YOUR FREE BOOK, you’ll go to a page that will invite you to join my READERS’ GROUP. What is my READERS’ GROUP? Well, it’s something new. Through the GROUP, I’m going to keep you in the loop about my doings–I have a bunch of new books planned for 2016. I’m also going to let you know about authors I’ve discovered and think are terrific. If I find out about deals coming up or am having specials myself, READERS’ GROUP members will be the first to know. You are not signing up to be spammed! I can hardly get out a blog post a few times a year; I’m not going flood your inbox with junk. Nor will I sell or give away your email address. I am techno impaired; even if I wanted to, I doubt I could find your email on my server. Plus, I got writing to do! WHAT ABOUT THE OTHER FREE NEW BOOKS, SANDY? If you read IN LOVE BY CHRISTMAS, you will come upon a character named Vanessa Schierman PhD. She’s a PhD with all her bonafides and the head of an ancient lineage. Vanessa figures large in IN LOVE BY CHRISTMAS and other Bloodsong Series books. In the first free eBook READERS’ GROUP members receive, you’ll find out lots more about our resident witch. Vanessa Schierman's estate. Never go there. SECOND BOOK, THIS ONE FREE: Vanessa Schierman PhD WITCH At this point, Vanessa Schierman PhD WITCH is available ONLY to my Readers’ Group members. It consists on two longish short stories and an introduction by Vanessa herself, in which she blisters my hide. I’ll add more stories to the book as I write them. I’ll contact you when I’ve got a new story. If you’ve got IN LOVE BY CHRISTMAS, you really should join the Readers Group and get Vanessa. She appears in many more Bloodsong Series books. Stepping off the Edge: A Roadmap for the Soul contains everything I learned, in school or out, that actually HELPED me in my life. THIRD BOOK: THAT’S THE BONUS YOU GET FOR JOINING THE READERS’ GROUP. What is it? A goodie. STEPPING OFF THE EDGE: A ROADMAP FOR THE SOUL. STEPPING OFF THE EDGE is a memoir that contains every insight, bit of wisdom, or academic theory I learned in school or anywhere else that actually helped me navigate the shoals of life. STEPPING OFF THE EDGE is what I did to tame my demons so that I could sit here, writing to you. STEPPING is my gift to you: I hope that the book is as useful to you as it was to me. In Love by Christmas: sterling, romantic adventure. 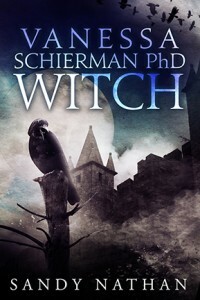 Vanessa Schierman PhD WITCH: short stories about a person you’d just as soon not know; Stepping off the Edge: A Roadmap for the Soul. And a toolkit, too. 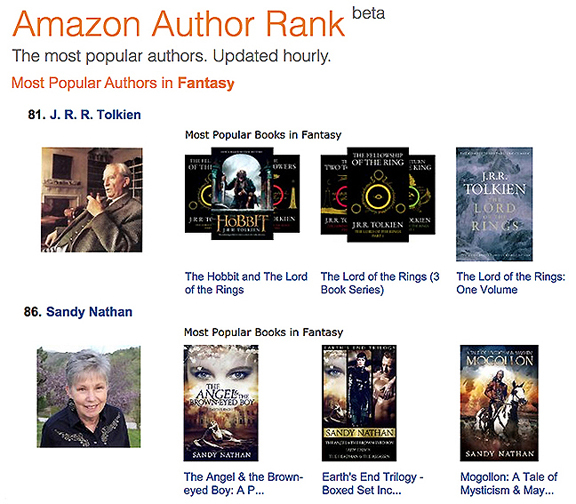 The Angel & the Brown-Eyed Boy is an Amazon Bestseller and I’m an Amazon Ranked Author! 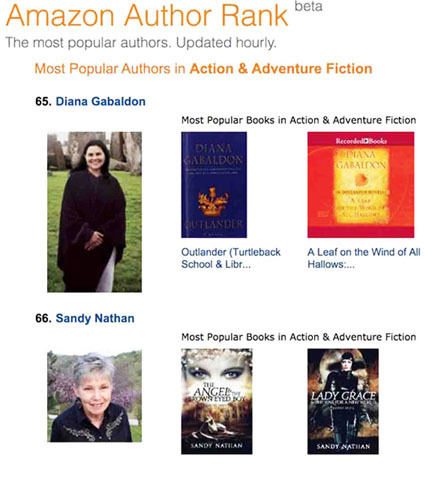 Here I am with Diana Gabaldon, my all time favorite author. I have read her Outlander series, all fifty million pages of it, THREE times. 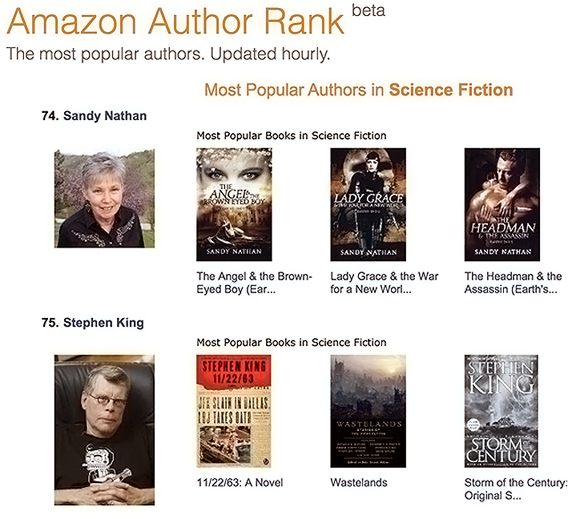 We're hanging out in cyberspace for a few moments of eternity, the 65th and 66th most popular authors in Action & Adventure Fiction. WAA-HOO! Every once in awhile, life presents the opportunity to be outrageously out there, to the point of being obnoxious. This is one of those times. I recently did a promotion of my eBook, The Angel & the Brown-Eyed Boy. It was free for a couple of days and then went back to being one you had to pay for. The results astonished me. Lots of people downloaded it, and then more bought it. So, it’s my time and I’m gonna crow about it. 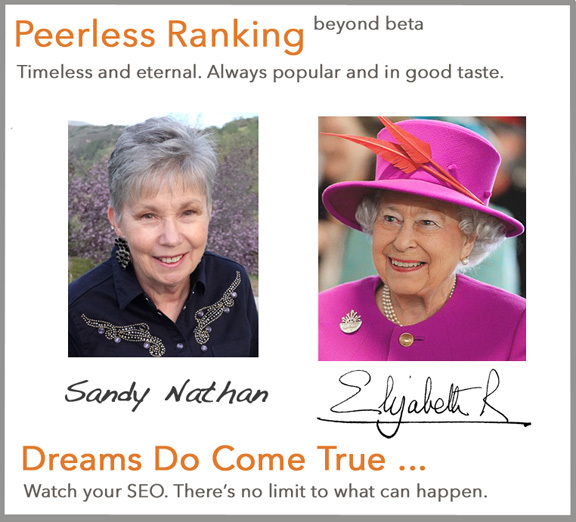 I’ve done promos by myself before, but this time I was assisted by folks who knew what SEO meant. Turns out, that’s very important in today’s marketing world. My partners in success in this venture were Genius Media, Inc. They are primarily publishers, but also do book promotion. It was a lucky day when I ran into Genius Media. If you are planning on giving your book away on an Amazon KDP promotion, don’t think it will necessarily turn out the way my recent extravaganza did. Don’t think it won’t, either. You never know. I’ve done KDP free days in the past, running the campaign pretty much by my lonesome self. What was it like? Think days of non-stop, back breaking work, not knowing what I was doing, going down lists of what to do posted online by people I’d never heard of. Fingers aching, eyes watering. I did get results, but it was awful. If you’re fortunate and have professionals who know what they’re doing to assist you, something like this may happen–and getting there won’t be a nightmare. This is how my rankings showed up at their highest, which is measured by closest to #1, the top ranking. 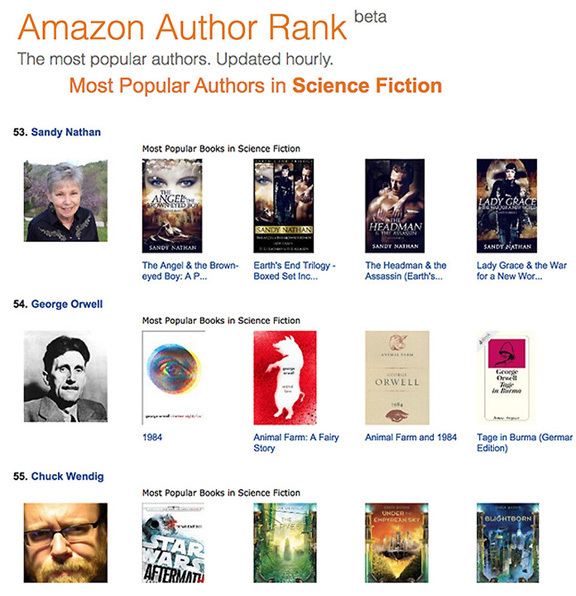 Amazon reports results in terms of all the free books on the site, as well as the book's categories. Yes, that's #20 out of all the books free that day. Midway through this promo, without telling anyone they were doing it, Amazon changed its categories from these, to what's above. This makes people who know SEO really upset, because they're settings are now wrong. 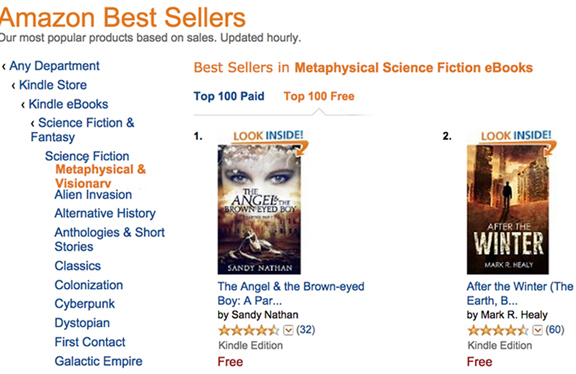 Here's The Angel, flying to #1 Tree in Metaphysical & Visionary Fiction. 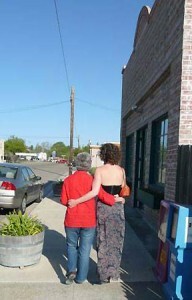 This was a lovely sight. When The Angel went off of free, what happened? This. Took a long night of screen-gazing to get this screenshot. Waa-hoo! Years ago, I gave a talk on “Celebrate Your Victories.” I think I’ll post the text of that talk on this blog. Mitigating/explaining what I’m doing with this post, my talk said that we need to celebrate our wins! We need to toot our horns and let the good times flow when something wonderful happens. Why? Given the transitory nature of success and life’s high points, you’ll be slogging through the muck soon enough. You’ll forget the wonderful high and that life is a joyful process that includes UPS as well as downs. We tend to focus on the later. For years, I was too snobby to read Stephen King. When I finally started, I didn't read everything he'd written–that's HUGE. But I sure gave it a try. So, hey, Stephen, hope to hang out a lot more, buddy! OMG. The guy who brought Jungian writing and depth psychology to everyone, my old buddy, J. R. R. Tolkien! Here I am, rubbing rankings with the master. 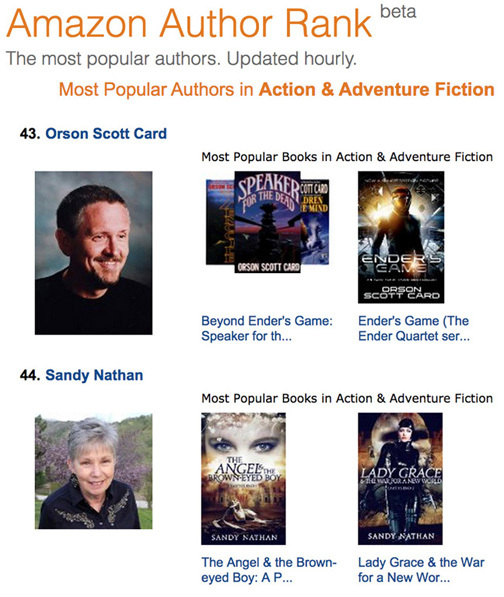 Orson Scott Card, maybe the brainiest sci-fi writer ever. Here we are, lovingly stacked together. Thank you, Amazon! And my READERS! Yay! Classic sci-fi from the master George Orwell, author of 1984, Animal Farm and so much more. Nice to hang out, George! My The Angel & the Brown-Eyed Boy has been compared to 1984. And our own contemporary pundit, Chuck Wendig. Glad to meet you, Chuck! MAY YOUR DREAMS COME TRUE AND YOUR COMPANY REFLECT YOUR TRUE NOBILITY AND GRACE! FREE BOOKS!!!! $$FREE BOOKS$$ UNTIL OCT. 31, 2015, I’M GIVING FREE BOOKS IN RETURN FOR HONEST REVIEWS. WHICH BOOKS? THE WHOLE EARTH’S END TRILOGY BOXED SET EBOOK We have promotions planned for Lady Grace & the War for a New World, Earth’s End II, and The Headman & the Assassin, Earth’s End III. These three books represent a treasure of adventure and … well, pretty near everything else. Romance, time travel, aliens, guys from the past, monsters, you name it, Earth’s End has it. Unfortunately, unless we get more reviews for the last two books of the series. We can’t even BUY advertising for it. [Did I tell you the three books have won SEVEN NATIONAL AWARDS BETWEEN THEM?] BECAUSE OF THIS, I AM GIVING AWAY THE EARTH’S END TRILOGY BOXED SET EBOOK in return for an honest review. If you’d like to get the three book set for $FREE$, contact me at vilasapress@gmail.com. I’ll get them to you pronto! OFFER GOOD THROUGH OCT. 31–THAT’S MY TREAT! All the best from Sandy Nathan, who, in addition to being a new mule owner, is also a bestselling and award-winning author. Check out my Amazon Author Page. Lily Nathan at the C Gallery, October 3rd, 6 PM. Music and Art You Won’t Forget! A EVENING TO REMEMBER: LILY NATHAN AND NATE MAURER PLAY SONGS FROM LILY’S NEW CD AWAY … AND MORE. EXPECT SURPRISES. Lily plays guitar and sings her original songs. Nate’s on keyboards. And–the art of Zoe Nathan, Lily’s sister, will bedazzle you from the walls. TICKETS ARE $19 PER PERSON OR $35 FOR A COUPLE. YOU’LL GET A CD, THE CONCERT, AND THE GREAT VIBES OF C GALLERY. Plus a bean bag toss. 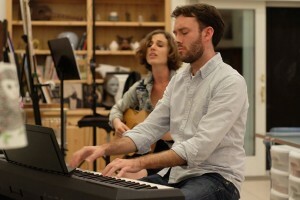 Lily Nathan on guitar and vocals; Nate Maurer on keyboards. Enchanting! A Harlequin Portrait by Zoe Nathan. 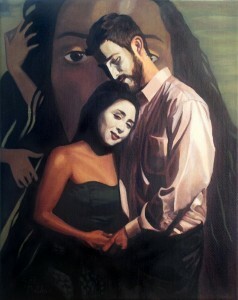 Zoe Nathan will display a number of portraits from her harlequin series. Romantic realism. Nostalgia–Gallery owner Connie Rohde was Lily Nathan's high school teacher! They're shown here, walking by C Gallery. This post proudly presented by Sandy Nathan, mother of Zoe and Lily.